Another burning hot day in this summer of summers and the chance to catch up with good gardening friends. 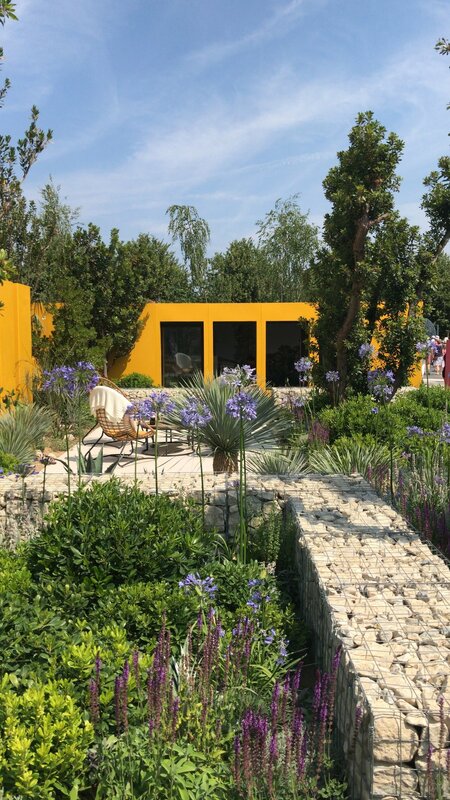 This year's Hampton Court show had some treasures, not least Piet Oudolf's lovely beds of grasses and perennials which swished and fluttered in what little breeze there was. The Battlefields to Butterflies trench garden, created by Historic Royal Palaces and The Royal Parks Guild, took on a tough brief recognising the sacrifices made by parks, gardens and grounds staff who lost their lives in the First World War. "The raw, ugly and desolate landscape of the trenches is gradually transformed...Nature returns the landscape to an enchanted land of wild flowers, trees and butterflies." Nothing was ducked or dodged here - the resulting landscape was thought-provoking and ultimately triumphant. Love conquers all and Nature will have her way.